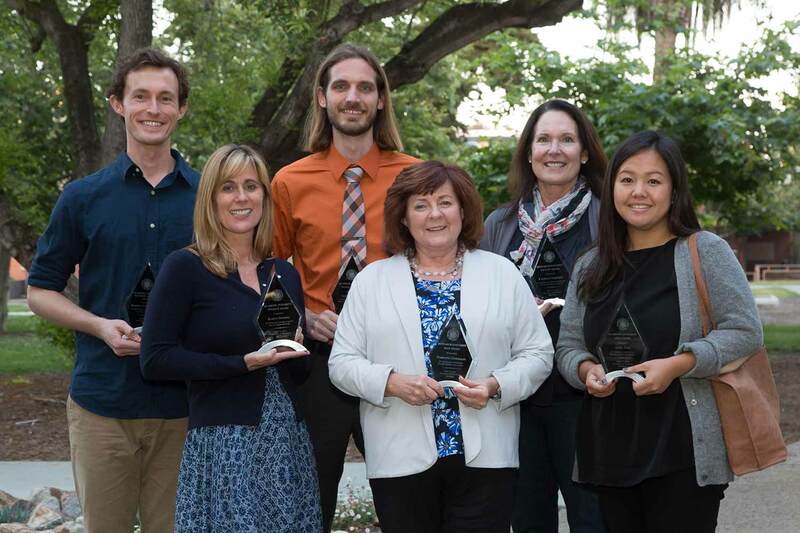 On April 13, eight members of the University of California San Diego community were recognized for their substantial contributions to academic and research integrity on campus. The 6th Annual Integrity Award Ceremony was hosted by UC San Diego’s Academic Integrity Peer Educators, in conjunction with the Academic Integrity Office and Research Ethics Program. The Academic Integrity Peer Educators and the Academic Integrity Office launched the first annual awards ceremony in 2011 to honor those who uphold integrity in inspiring ways. In 2015, the ceremony was expanded to include the Research Ethics Program and Research Integrity Awards. Award winners are selected to recognize contributions to integrity that are above and beyond what is normally expected of all members of our community. These rewards are a reminder that UC San Diego seeks to uphold the six pillars of integrity—responsibility, honesty, fairness, respect, trustworthiness and courage—in everything that it does.